Simon Wiesenthal, Knight Commander of the British Empire (KBE) (December 31, 1908 – September 20, 2005), was an Austrian-Jewish architectural engineer who became a Nazi hunter after surviving the Holocaust. At the end of World War II, thousands of Nazis who participated in the systematic murder of some 6 million Jews and millions of Gypsies, Poles, and other "inferior" peoples, slipped through the Allied net and escaped to countries around the globe and lived in freedom. Wiesenthal, a survivor of four and a half years in the concentration camps of Janowska, Kraków-Płaszów, and Mauthausen-Gusen, dedicated his life to documenting the crimes of the Holocaust and to hunting down the perpetrators still at large so that they could be brought to justice for war crimes and crimes against humanity. His life-work stands as a reminder and a warning for future generations. As he explained, "When history looks back, I want people to know the Nazis weren’t able to kill millions of people and get away with it." Controversial during his life, he pursued hundreds of war criminals and was central to preserving the memory of the Holocaust for more than half a century. Termed the "Deputy for the dead" and "Avenging archangel of the Holocaust," Wiesenthal was crucial in providing information which helped lawyers prosecute those responsible for some of the twentieth century's most atrocious crimes. To many, "Wiesenthal" was a symbol of human conscience. "Simon, if you had gone back to building houses, you'd be a millionaire. Why didn't you?" "You're a religious man," replied Wiesenthal. "You believe in God and life after death. I also believe. When we come to the other world and meet the millions of Jews who died in the camps and they ask us, 'What have you done?' there will be many answers. You will say, 'I became a jeweler,' another will say, 'I have smuggled coffee and American cigarettes,' Another will say, 'I built houses.' But I will say, 'I didn't forget you'" (Clyde Farnsworth in the New York Times Magazine, February 2, 1964). In 1977, Rabbi Marvin Hier named his Jewish human rights center after him. 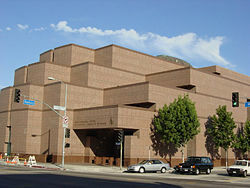 The Simon Wiesenthal Center is located in Los Angeles, California. Born Szymon Wiesenthal on December 31, 1908, in Buczacz, Ukrainian Galicia (at the time a part of Austria-Hungary, now a part of the Lvov Oblast section of Ukraine), his was a Jewish merchant family. He enjoyed a relatively pleasant early childhood, in which his father, Asher Wiesenthal, a 1905 refugee from the pogroms of czarist Russia, became an established citizen in Buczacz, trading in sugar and other wholesale commodities. With the outbreak of the First World War in 1914, however, his father, as a Military reserve in the Austro-Hungarian Army was called to active duty and died in combat on the Eastern Front in 1915. With Russian control of Central Europe during this period, Wiesenthal and his remaining family (mother and brother) fled to refuge in Vienna, Austria. Wiesenthal and his brother went to school in Vienna until the Russian retreat from Galicia in 1917. After moving back to Buczacz, this area of Galicia constantly changed leadership, with numerous liberations by surrounding nations, at various times being under Cossack, Austrian, Ukrainian, Polish, and Soviet rule. In 1925, Simon’s mother remarried and moved to the Carpathian Mountains with his brother. Simon opted to continue his studies in Buczacz. At the Humanistic Gymnasium where Simon went to school during this time, he met his future wife, Cyla Mueller, whom he would marry in 1936. Turned away from the Lvov Polytechnic (Lwów University of Technology) because of quota restrictions on Jewish students, he went instead to the Technical University of Prague. He graduated in 1932, with a degree in architectural engineering. In 1934 and 1935, Wiesenthal apprenticed as a building engineer in Soviet Russia, spending a few weeks in Kharkov and Kiev, but most of these two years in the Black Sea port of Odessa under Stalin. Returning to Galicia at the end of his Russian apprenticeship, Wiesenthal was allowed to enter the Lwów University of Technology for the advanced degree that would allow him to practice architecture in Poland. The Poles were again in power, and Wiesenthal was again treated as a subordinate citizen. He opened his own architectural office in Lvov following his marriage, despite not having a Polish diploma in hand. He specialized in elegant villas, which wealthy Polish Jews were building despite the threats of Nazism to the west. His career spanned three years, until the German invasion, which began September 1, 1939. Wiesenthal and his wife were living in Lvov, the largest city in western Ukraine when World War II began. As a result of the Molotov-Ribbentrop Pact, the "non-aggression" pact signed between Germany and Russia, Lvov was occupied by the Soviet Union on September 17, 1939. Soon after began the Red purge of Jewish merchants, factory owners and other professionals. In this purge of "bourgeois" elements that immediately followed the Soviet occupation, designed to eliminate all Polish "intelligentsia," Wiesenthal's stepfather was arrested by the NKVD, (People's Commissariat of Internal Affairs—Soviet Secret Police) and eventually died in prison; his stepbrother was shot. Wiesenthal was forced to close his business and became a mechanic in a bedspring factory. Later he saved himself, his wife, and his mother from deportation to Siberia by bribing an NKVD commissar. Wiesenthal survived an early wave of executions thanks to the intervention of a former employee of his, a man named Bodnar, by then a Ukrainian auxiliary policeman who, on July 6, 1941, saved him from execution by the Nazis then occupying Lvov, as recalled in Wiesenthal's memoir, The Murderers Among Us, written with Joseph Wechsberg. Wiesenthal and his wife were first imprisoned in the Janowska Street camp in the suburbs of the city, where they were assigned to forced labor serving the Ostbahn Works, the repair shop for Lvov's Eastern Railroad. Early in 1942, the Nazi hierarchy formally decided on the "Final Solution" to the "Jewish problem"—annihilation. Throughout occupied Europe a terrifying genocide machine was put into operation. In the Warsaw Ghetto, Wiesenthal’s mother was crammed along with other Jewish women onto a freight train to the extermination camp of Belzec, where she perished in August 1942. By September of that year, most of his and his wife's relatives were dead; a total of eighty-nine members of both families perished. Members of the Home Army, the Polish Underground, helped Cyla Wiesenthal escape from camp and provided her with false papers in exchange for diagrams of railroad junction points her husband made specifically for saboteurs. She was able to hide her Jewish identity from the Nazis because of her blonde hair and survived the war as a forced-laborer in the Rhineland. Until the end of the war, Simon believed she was killed in the Warsaw Uprising. Simon Wiesenthal did not escape imprisonment as quickly as his wife. With the help of a deputy director of the camp he escaped from Janowska just before the Nazis began eliminating all inmates in October of 1943. He escaped into Poland and connected with the Polish Underground (for his expertise in engineering and architecture would help the Polish Partisans with bunkers and lines of fortification against German forces). He was recaptured in June of the following year, 1944, by Gestapo officers and sent back to Janowska, where he would almost certainly have been killed had the German eastern front not collapsed under the advancing Russian Red Army. The SS guards at Janowska knew they would be sent into combat if they had no prisoners to justify their rear-echelon assignment, so they kept the few remaining inmates alive. Wiesenthal and the 34 remaining Janowska prisoners (of an original 149,000) were sent on a death march from camps in Poland (including Plaszow) and Germany to the Mauthausen concentration camp in Austria. The 200 guards picked up the entire population of the village of Chelmiec along the way to adjust the prisoner-guard ratio. By the time he was liberated by American forces on May 5, 1945, Wiesenthal had been imprisoned in 12 different concentration camps, including five death camps, and had narrowly escaped execution on a number of occasions. Late in 1945, he and his wife, each of whom had believed the other to be dead, were reunited, and in 1946, their daughter Pauline was born. Wiesenthal, believing survival unlikely, twice attempted suicide. He later reported the turning point to be a conversation with an SS corporal one day toward the end of the war. The man bet him that no one would ever believe the truth of what had occurred in the concentration camps. Their exchange, Wiesenthal said, brought him the will to live through the war. Few prisoners survived the forced death march through Plaszow, Gross-Rosen, and Buchenwald, which ended at Mauthausen in upper Austria. Wiesenthal, barely alive and weighing less than 100 pounds, was able to do nothing more than lie helplessly in a barracks when Mauthausen was liberated by an American armored unit on May 5, 1945. Once Wiesenthal regained his health, he began gathering and preparing evidence on Nazi atrocities for the War Crimes Section of the U.S. Army. Following the war, he worked for the Army's Office of Strategic Services and Counter-Intelligence Corps and headed the Jewish Central Committee of the United States Zone of Austria, a relief and welfare organization. Wiesenthal continued his association with the U.S. Army until 1947. Evidence he had provided in his two years with them was utilized in the American zone war crime trials. Once he left that post, he and thirty volunteers opened the Jewish Historical Documentation Center in Linz, Austria, with the pursuit of gathering evidence for future trials. However, as the Cold War between the United States and the Soviet Union intensified, neither side maintained their interest in pursuing WWII criminals. This lack of response by the two governments resulted in frustration on the part of Wiesenthal's volunteers and many turned to more ordinary pursuits. When the office in Linz closed in 1954, the organization turned over its files to the Yad Vashem Archives in Israel, except for the dossier on Adolf Eichmann, who, as chief of the Gestapo's Jewish Department, had supervised the implementation of the "Final Solution." Wiesenthal continued in the field of relief and welfare work, including the running of an occupational training school for Hungarian and other Iron Curtain refugees. However, his resolve to find the elusive Eichmann never waned. Eichmann had disappeared at the time of Germany's defeat in World War II, and his wife had sought to have him declared dead. Wiesenthal, however, received information that Eichmann was living in Argentina, and passed this information to Israel through the Israeli embassy in Vienna. It was not until 1959 that Israel responded to information from Germany that Eichmann was in Buenos Aires living under the alias of Ricardo Klement. He was arrested by Israeli agents, brought to Israel for trial, and found guilty of mass murder. He was executed on May 31, 1961. Following this, Wiesenthal reopened the Jewish Documentation Center, this time in Vienna, and concentrated exclusively on the hunting of war criminals. A high priority case was that of Karl Silberbauer, the Gestapo officer who arrested Anne Frank, the fourteen year-old German-[Jew|Jewish]] girl who was murdered by the Nazis after hiding in an Amsterdam attic for two years. The authenticity of Anne Frank's famous diary had been discredited by neo-Nazi propagandists in the Netherlands until Wiesenthal located Silberbauer, who was then a police inspector in Austria. Arrested in 1963, Silberbauer confessed, "Yes, I arrested Anne Frank." Sixteen SS officers went to trial in Stuttgart, West Germany, in October 1966, for participation in the extermination of Jews in Lvov. Of these, nine had been found by Wiesenthal. Franz Stangl, the commandant of the Treblinka and Sobibor concentration camps in Poland, was high on the JDC's most wanted list. Three years of undercover work found Stangl in Brazil in 1967. He was remanded to West Germany and sentenced to life in prison, where he died. The Murderers Among Us, Wiesenthal's memoirs, was published in 1967. While in the U.S. to promote the book, he announced that he had found Mrs. Hermine (Braunsteiner) Ryan, a housewife living in Queens, New York. Mrs. Ryan had supervised the killings of several hundred children at Majdanek. She was extradited to Germany for trial as a war criminal in 1973, and received life imprisonment. Wiesenthal did not track down the Nazi fugitives himself. He gathered and analyzed information which had been supplied by a vast network of friends, colleagues, and sympathizers the world over. Some of his informants included German World War II veterans, appalled by the horrors they witnessed, in some cases the informants were former Nazis with grudges against other former Nazis. In the 1970s, Wiesenthal became involved in Austrian politics when he pointed out that several ministers in the newly formed Socialist government had been Nazis when Austria was part of the Third Reich. Wiesenthal was in turn accused of being a Nestbeschmutzer (someone who dirties their own nest). In Austria, which took decades to acknowledge its role in Nazi crimes, Wiesenthal was ignored and often insulted. In 1975, after Wiesenthal had released a report on Socialist Party Chairman, Friedrich Peter's Nazi past, Chancellor Bruno Kreisky suggested Wiesenthal was part of a "certain mafia" seeking to besmirch Austria and even claimed Wiesenthal collaborated with Nazis and Gestapo to survive, a charge that Wiesenthal labeled ridiculous. Over the years, Wiesenthal received numberous death threats. In June 1982, a bomb placed by German and Austrian neo-Nazis exploded outside his house in Vienna, Austria. Even after turning 90, Wiesenthal spent time at his small office in the Jewish Documentation Center in central Vienna. In April 2003, Wiesenthal announced his retirement, saying that he had found the mass murderers he had been looking for: "I have survived them all. If there were any left, they'd be too old and weak to stand trial today. My work is done." He has been credited with ferreting out 1,100 of Adolf Hitler's killers. Wiesenthal spent his last years in Vienna, where his wife, Cyla, died of natural causes in November 2003, at the age of 95. Wiesenthal died in his sleep at age 96, in Vienna on September 20, 2005, and was buried in the city of Herzliya in Israel on September 23. He is survived by his daughter, Paulinka Kriesberg, and three grandchildren. Without Simon Wiesenthal's relentless effort to find Nazi criminals and bring them to justice, and to fight anti-Semitism and prejudice, Europe would never have succeeded in healing its wounds and reconciling itself… He was a soldier of justice, which is indispensable to our freedom, stability and peace. Despite Wiesenthal's achievements in locating many former Nazis, aspects of his work and life were controversial. Still, he is considered a hero to many of the Jews who endured and survived the Holocaust. In 1977, a Holocaust memorial agency was named, in his honor, as the "Simon Wiesenthal Center." In dedicating the Center to him, founder Rabbi Marvin Hier stated, "I think he'll be remembered as the conscience of the Holocaust. In a way he became the permanent representative of the victims of the Holocaust, determined to bring the perpetrators of the greatest crime to justice." The Center is an international Jewish human rights organization which claims a multifaceted mission, generating changes through the Snider Social Action Institute. The Center provides education through promoting awareness of anti-Semitism, hate, and terrorism, monitors neo-Nazi groups, promotes human rights and dignity, promotes the safety of Jews worldwide, and teaches the lessons of the Holocaust for future generations. It operates the Museums of Tolerance in Los Angeles, California and Jerusalem, and helps bring surviving Nazi war criminals to justice. With a constituency of over 400,000 households in the United States, it is accredited as an NGO at international organizations, including the United Nations, UNESCO, and the Council of Europe. Headquartered in Los Angeles, the Simon Wiesenthal Center maintains offices in New York, Toronto, Palm Beach, Paris, Buenos Aires, and Jerusalem. Honorary Knight Commander of the Order of the British Empire, presented on February 19, 2004, in recognition of a "lifetime of service to humanity." The knighthood also recognized the work of the Simon Wiesenthal Center. Writing under the pen name of Mischka Kukin, Wiesenthal published Humor behind the Iron Curtain in 1962. This is the earliest known compendium of jokes from the Soviet Bloc countries published in the West. In 1967, Wiesenthal wrote his memoirs, along with Joseph Wechsberg, entitled The Murderers Among Us: The Wiesenthal Memoirs. A collection of essays was written by Wiesenthal in 1997, entitled The Sunflower: On the Possibilities and Limits of Forgiveness. This was based on his experiences as a concentration camp prisoner brought before a dying Nazi soldier who asked for his forgiveness. Justice Not Vengeance was written by Wiesenthal in 1990. Sometimes considered a companion to his 1967 book, it asks more philosophical questions about those involved in the Holocaust. Ben Kingsley portrayed Wiesenthal in the HBO film, Murderers Among Us: The Simon Wiesenthal Story. The character of Yakov Lieberman (called Ezra Lieberman in the film) in Ira Levin's novel, The Boys from Brazil, is modeled on Wiesenthal. Wiesenthal was portrayed by the Israeli actor Shmuel Rodensky in the film adaptation of Frederick Forsyth's, The Odessa File, providing information to a German journalist attempting to track down a Nazi war criminal. In 1990, Martin Landau played Wiesenthal in the TV movie Max and Helen. I Have Never Forgotten You, a feature-length documentary of Simon Wisenthal's life, narrated by [[Academy Award]-winning actress Nicole Kidman, was released by Moriah Films in October 2006. Moriah Films is the media subdivision of the Simon Wiesenthal Center. Wiesenthal, Simon & Joseph Wechsberg. The Murderers Among us; the Simon Wiesenthal Memoirs. New York: McGraw-Hill, 1967. ↑ Simon Wiesenthal Center Official Site, About Simon Wiesenthal. Retrieved January 23, 2008. ↑ Adam Bernstein, Nazi Hunter Simon Wiesenthal Dies. Retrieved March 25, 2008. ↑ Simon Wiesenthal Center Official Site, A Short Biography. Retrieved March 25, 2008. ↑ Alan Levy, Nazi Hunter: The Wiesenthal File (Grand Rapids, MI: William B. Eerdmans Publishing, 1993), Page 21. ↑ The Simon Wiesenthal Center, Simon Wiesenthal (1908-2005). Retrieved January 23, 2008. ↑ Adam Bernstein, Nazi Hunter Simon Wiesenthal Dies. Retrieved January 23, 2008. ↑ The Associated Press, Holocaust survivor Simon Wiesenthal dead at 96. Retrieved January 23, 2008. ↑ The Simon Wiesenthal Center, Mission Statement. Retrieved January 23, 2008. Simon Wiesenthal at the Internet Movie Database. Murderers Among Us: The Simon Wiesenthal Story at the Internet Movie Database. Simon Wiesenthal: Holocaust Survivor and Famed Nazi-hunter—Holocaust Select Resources. The Art of Remembrance: Simon Wiesenthal; documentary by Hannah Heer & Werner Schmiedel. BBC News on Wiesenthals Death 20 September 2005. This page was last modified on 6 August 2013, at 17:21.